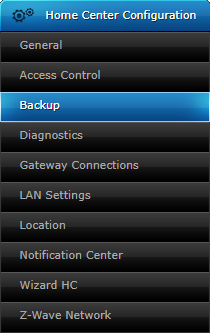 This article describes the process of creating and restoring backups on your Home Center controller. Click on the Backup on the left sidebar. 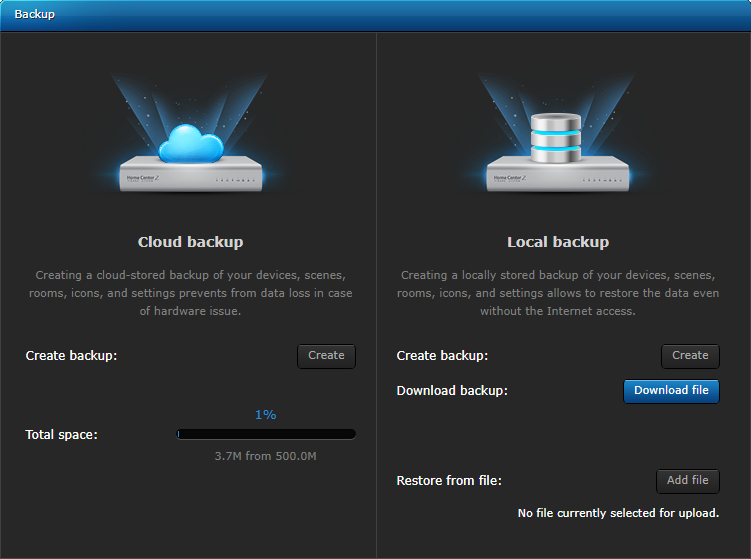 Choose if you want to create Cloud backup or Local backup and click Create. 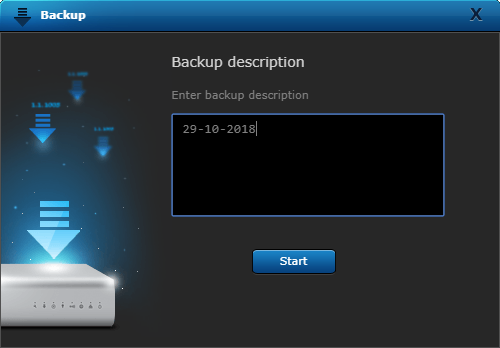 Enter the backup description and click Start. You can see your backup copy on the list below. 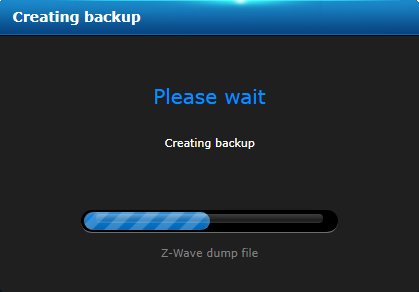 You can download created backup copy to your hard drive. Click Download file. 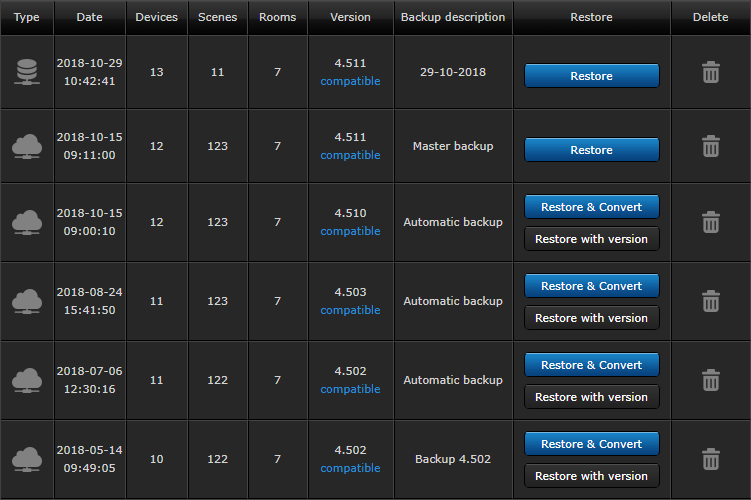 Restore – if you want to restore a copy of the current version of a system. Restore & Convert – if you want to restore a copy of the previous version of a system and convert it to the new version of the system. Restore with version – if you want to restore a copy of the previous version of a system and downgrade your system to the previous version. 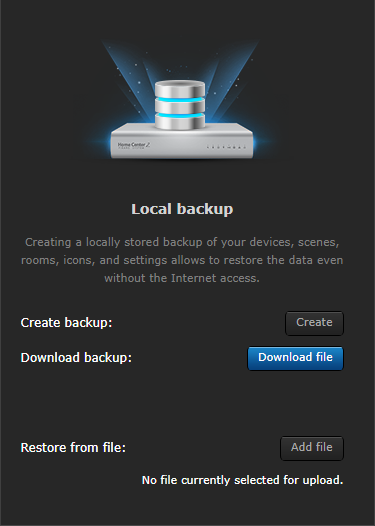 You can also restore a backup from the previously created backup file in Local Backup section. 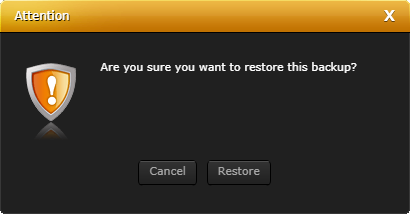 Confirm that you want to Restore the chosen copy by clicking Restore. Your system has been restored.